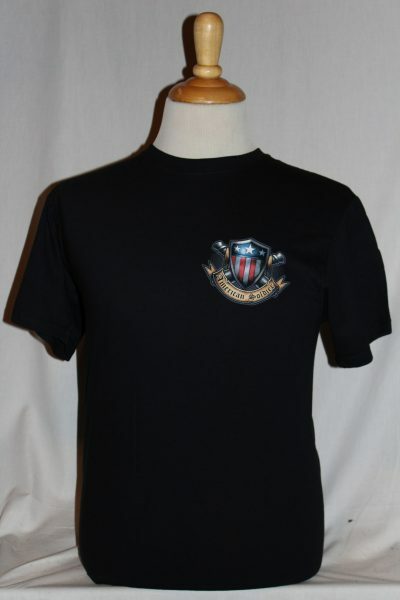 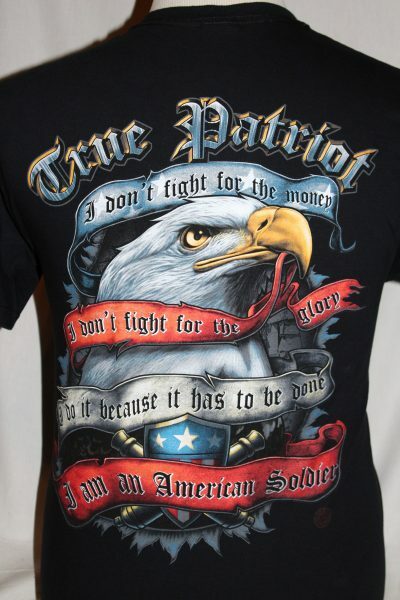 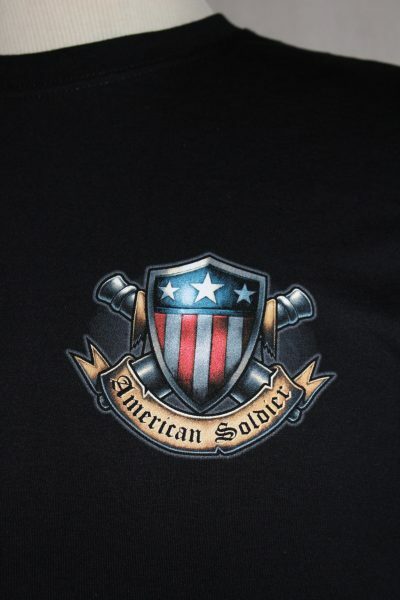 The True Patriot T-shirt is a two sided print in black. Front Design: Flag symbol superimposed over crossed cannons, with text. 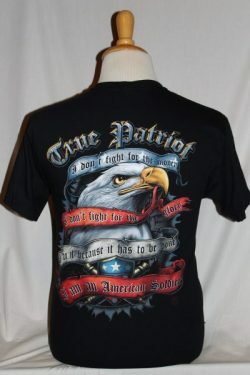 Back Design: Large American Eagle, text ribbons in several colors.